May 29, 2010 - VIRGINIA BEACH, Va (NNS) -- The Navy Exchange's (NEX) web store announced the launch of a product information center May 28 on www.myNavyExchange.com. This feature provides customers access to pricing information as well as product images, descriptions and specifications for televisions, cameras and computers that are available for purchase in NEX stores. "We added this feature to our website so customers could have the opportunity to read up on the products they were interested in purchasing and check availability before they got to the store," said Karen Connery, Navy Exchange Service Command (NEXCOM) director, e-Commerce. "Industry studies confirm that customers conduct research online at retailers' Web stores for at least half of all their purchases regardless of the channel from which they shop. Our product information center also provides our customers the opportunity to write or read product reviews to help them make their purchase decisions." Once a customer logs on to the site and is authenticated as an authorized customer, they may select a Continental United States (CONUS) or ouside of the Continental United States (OCONUS) region where they would like to shop from either a drop down box, or interactive map. From there, visitors can select a merchandise category and specific of interest. The item detail includes current NEX price, an image, description and specifications for the product as well as a list of NEXs within the selected region where the item is currently available for purchase, subject to availability. Customers will also have a chance to write a review of the product and the rating of the product will appear as anchors. The link to the "Store Finder" will allow customers to find store hours of operations, phone number and directions to which NEX the product is available for purchase. "We're excited about providing access to our great product assortment and prices available at our stores via our website and expect that this feature will show our customers that it's definitely worth the trip to visit their NEX," said Connery. "We plan to add more categories such as major appliances and tires in the near future." Customers receive a five-cent credit toward their purchase for each eco-friendly reusable bag used to bag their purchase. Become a Facebook fan and follow the NEX on Twitter. 5/28/2010 - FAIRVIEW HEIGHTS, Ill. (AFNS) -- Air Force and U.S. Transportation Command officials began a new era of financial management May 27 when Spiral 2 of the Defense Enterprise Accounting and Management System, or DEAMS, deployed to users at Scott Air Force Base, Ill. There are nearly 1,100 initial users at or associated with Scott AFB. In addition to the 375th Air Mobility Wing and base tenant units, regional Air National Guard units; the Air Force Financial Services Center at Ellsworth AFB, S.D. ; and Defense Finance and Accounting Service centers at Limestone, Maine, and Columbus, Ohio, that service Scott also are among the initial users. DEAMS is an Air Force initiative using industry-proven Oracle software to provide warfighters with timely, accurate and reliable financial information leading to more efficient and effective decisions. A single automated, integrated system based on industry standards, DEAMS replaces outdated stovepiped systems handicapped by multiple interfaces, inefficient technology and limited functionality. It complies with all applicable laws and regulations, overcoming critical shortfalls of the old legacy systems. Finance officials at Scott AFB and its tenant units began using parts of DEAMS in July 2007 when Spiral 1, the first phase of the DEAMS technology demonstration, deployed to about 700 users engaged in commitment accounting. Spiral 2, the second and final phase of the demonstration, applies the full gamut of capabilities, including commitment accounting; general accounting; project accounting; revenue and billing; property, plant and equipment accountability; and timekeeping. Air Force and DEAMS officials will apply lessons learned from all aspects of the technology demonstration before DEAMS deploys to the rest of the Air Force in phases over the next several years. The initiative to modernize accounting and financial management began in June 2001 when then-Secretary of Defense Donald Rumsfeld indicated one of his highest priorities was to have reliable, accurate and timely financial information to make the most effective business decisions. Outdated, unreliable financial systems that were unable to share information were adversely affecting the ability of Department of Defense and Air Force financial managers to ensure basic accountability, anticipate future costs and claims on the budget, measure performance, maintain funds control and prevent fraud. Months later, then-commander of U.S. Transportation Command Gen. John Handy wrote to the DOD comptroller outlining his frustration with "the lack of integrated financial systems," "limited visibility of financial data," and "broken audit trails." Secretary Rumsfeld's vision and General Handy's frustrations led to the creation of DEAMS. Formal program development got under way in 2005. Full operational capability throughout the Air Force is anticipated in 2017. May 28, 2010 - WASHINGTON—Robert Cimino, 60, of Syracuse, N.Y., was sentenced to 18 months in prison by U.S. District Judge Anthony J. Trenga in the Eastern District of Virginia for his sales of more than $250,000 worth of pirated software, announced Assistant Attorney General Lanny A. Breuer of the Criminal Division and U.S. Attorney Neil H. MacBride of the Eastern District of Virginia. May 28, 2010: Finding a tick usually involves a squeamish self-examination – carefully rubbing fingertips through the scalp, meticulously scanning the body, and groaning "eyeww" if a little bloodsucker is discovered. Now, there's a new way to find the pesky, disease-laden critters--via satellite! University of Alabama at Birmingham graduate students Nathan Renneboog and Stephen Firsing are pioneering the new technique as part of a NASA program called DEVELOP. They've been using satellite images of Alabama's Talladega National Forest to reveal areas of the forest where ticks likely flourish. Knowing tick whereabouts is important. Ticks can deliver some very unwelcome visitors into your bloodstream: the toxins and organisms that cause Rocky Mountain Spotted Fever, Southern Tick Associated Rash Illness, and Lyme Disease. "Our goal was to identify high-risk zones for these diseases," explains Renneboog. "We know that ticks prefer moist, heavily vegetated areas, so we wanted to map those areas." Tick hosts include white-tailed deer, white-footed mice, and you. Lurking like mini-vampires, ticks wait for one of these unsuspecting passersby on whom to feast. Without blood meals, ticks die. Some ticks' saliva contains a blood thinner to make it easier for them to feed. The saliva may also contain neurotoxins that keep you from feeling pain as the tick digs its barbed mouth into your skin and enjoys a meal at your expense. Dr. Jeff Luvall of NASA's Marshall Space Flight Center mentored Renneboog and Firsing in their tick hunt, which took place in UAB's Laboratory for Global Health Observation. "I taught the students how to use infrared images from an instrument on the Terra satellite to analyze soil moisture and vegetation." The two students used what they learned from their NASA advisor to classify levels of vegetation and moisture in 12 locations in the forest. They then created detailed digital maps and images showing likely tick habitats – areas where dense vegetation overlapped those with high soil moisture. To confirm that the maps were accurate, Renneboog and Firsing needed some old-fashioned, ground-level tick counts for comparison. They used data provided by Jacksonville State University faculty and students, who collected ticks by dragging large white clothes through bushes and grasses. They actually counted the ticks by hand and identified their species. "One of our aims for this study is to raise awareness about ticks – where they live, how they behave, what diseases they carry," adds Firsing. "For example, it's not widely known that there's Lyme disease in Alabama now. But there is and has been for a while. The first case was actually documented in this state in 1986." As part of their DEVELOP project, Renneboog and Firsing do outreach work, presenting their findings at conferences and talking to the public. This summer, for instance, they'll work with Girl Scout Troops. "We'll teach them to use repellents, wear long pants, tuck in their shirt, and wear socks when they go into the woods," says Renneboog. "And we'll teach them how to properly remove a tick if it latches onto them," adds Firsing. "You need to use tweezers. If you try to pinch the tick's body with your finger tips and pull the tick off, you'll squeeze it, and the tick will regurgitate the contents of its gut into your bloodstream." "That's how they infect you," he says. May 28, 2010 - Robert Cimino, 60, of Syracuse, N.Y., was sentenced to 18 months in prison by U.S. District Judge Anthony J. Trenga in the Eastern District of Virginia for his sales of more than $250,000 worth of pirated software, announced Assistant Attorney General Lanny A. Breuer of the Criminal Division and U.S. Attorney Neil H. MacBride of the Eastern District of Virginia. On Feb. 25, 2010, Cimino pleaded guilty to a single count of criminal copyright infringement for manufacturing and distributing pirated copies of popular business, engineering and graphic design copies of software titles by Adobe, Autodesk, Intuit, Quark and others over a more than three-year period. According to court documents, Cimino operated under the business name "SoftwareSuite" and advertised the sale of discounted popular software programs on a variety of Internet-based advertising forums, including www.buysellcommunity.com , www.adpost.com and www.sell.com . Customers would contact Cimino by email and would typically pay for the products by PayPal. Cimino would then mail pirated copies of the programs he had burned to CD or DVD to the customers, including customers in the Eastern District of Virginia. From February 2006 to September 2009, Cimino received at least $270,035 in gross proceeds from his sales of pirated software products. May 27, 2010 - "Launch, recover, launch" best describes the operations tempo of the helicopter missions being performed by the Louisiana Army National Guard's State Aviation Command in its ongoing response to the oil spill along Louisiana's coast caused by the April 20 explosion of the Deepwater Horizon oil rig in the Gulf of Mexico. "Aviation's being leaned on pretty heavily. ... Just look at the flying hours," said Army Col. Patrick R. Bossetta, commander of the State Aviation Command, located in Hammond, La. "We're flying between 40 and 50 hours-a-day. I tell you, that's a heck of a feat." Bossetta, from Folsom, La., explained that the operations tempo is almost as high as that experienced by Louisiana aviation units deployed to Iraq and Afghanistan in the past few years. Maj. John P. Plunkett, commander of the Army Aviation Support Facility in Hammond, described the engineering support missions as primarily involving troop transport, sling-loading sand bags and critical engineering equipment, and aerial reconnaissance. The sling-loaded sand bags, often weighing up to 6,000 pounds per load, are dropped by UH-60 Black Hawk helicopters onto island breaches to stem the flow of oil into critical waters and marshes. These same helicopters also transport soldiers and airmen to and from remote work sites, and carry the critical pieces of engineering equipment the troops need to perform their missions, such as fuel pallets and generators, Plunkett said. The aerial reconnaissance missions are critical because they provide local authorities and emergency operations personnel the opportunity to see first-hand how the shoreline is being affected and how mitigation resources are being applied. "It is critical that they can take a look at what's going on in their parishes, how their booms are laid out, what defenses they have to protect themselves from any intrusion of oil and actually get eyes out on where the oil may be in their particular parishes," Bossetta said. Following pre-flight procedures that begin before dawn, the aviation missions launch from the Aviation Command's headquarters in Hammond for work sites along Louisiana's coastline. Once the day's missions are completed, the aircraft return to Hammond, usually late in the evening, where the crew chiefs and maintenance technicians perform critical post-flight procedures, Plunkett said. "They have to be mission-ready for the next day," said Army Sgt. Robert Cuevas III, a crew chief and maintenance technician from Metairie, La., who works full-time at the State Aviation Command's support facility. "Basically the aircraft that fly one day are going to be flying the next day," echoed Army Staff Sgt. Warren L. Smith, from Albany, La., who also works full-time as a crew chief and maintenance technician at the Hammond facility. Despite the long workdays the aviation crews have been putting in, the aviators, crew chiefs and maintenance technicians have "good attitudes and are committed to doing the best they can to serve the state of Louisiana," Plunkett said. Speaking with pride about the soldiers in his command, Bossetta emphasized that "they always rise to the occasion – they always do." 5/27/2010 - LACKLAND AIR FORCE BASE, Texas (AFNS) -- A physiologist here was honored at the annual Aerospace Medical Association conference held May 10 through 13 in Phoenix. Lt. Col. Lance Annicelli, the Aerospace and Operational Physiology Training Flight commander for the 359th Aerospace Medicine Squadron, was awarded the 2010 Life Sciences and Biomedical Engineering Branch Research and Development Innovation award. This award recognizes an individual who has demonstrated innovative life sciences and biomedical engineering research as it relates to the design and/or development of aerospace medical equipment or systems. He also received the 2010 Paul Bert Award for outstanding research contributions in aerospace physiology. Both awards were presented to Colonel Annicelli for his research in aircrew protection, specifically in the field of enhanced G protection. "This recognition was fantastic and caught me completely by surprise," Colonel Annicelli said. "We have been working on this project for almost five years. It's certainly quite an honor to be recognized by my peers." Colonel Annicelli's G protection research has received numerous accolades throughout the Air Force for the unique and novel approach to acceleration protection. He teamed up with Dr. Ulf Balldin to develop a patent pending concept of G protection through electrically stimulating the muscles of the lower body. A prototype garment designed to be worn by a pilot under the flight suit provides a unique form of acceleration protection by automatically sensing and contracting the lower body muscles during and throughout excessive G-forces, thereby providing a transparent form of G protection. "It's definitely a thrill to be a part of a project that will hopefully make a significant difference in aircrew performance and protection," Colonel Annicelli said. Researchers from the Uniformed Services University of the Health Sciences (USU), the U.S. Army Medical Research Institute of Infectious Diseases (USAMRIID) and the National Emerging Infectious Diseases Laboratories (NEIDL) have recently found the first successful nonhuman primate model to test the Nipah virus, which will assist in research into how the disease affects humans. Nipah is an emerging virus that causes severe illness with symptoms that include inflammation of the brain (encephalitis) and/or respiratory diseases. Nipah is closely related to Hendra virus and can cause severe disease in both animals such as pigs, resulting in significant economic losses for farmers, and people. “It was because of the discovery of Hendra virus in 1994 in Australia that the CDC had reagents available to help identify this new virus, now called Nipah, that was infecting pigs in Malaysia in 1998-99,” Dr. Christopher Broder, USU professor of microbiology said. In the initial Malaysia outbreak, transmission occurred largely from pigs to people, with pig farmers at high risk. But in more recent outbreaks of Nipah in Bangladesh, many cases have been linked to date palm sap contamination by fruit bats, also known as flying foxes. Nipah virus has caused about a dozen outbreaks since its identification, and it can infect a wide range of animals and causes severe disease and death in people, making it a public health concern. The experiments for this study were carried out at the U.S. Army Medical Research Institute of Infectious Diseases which operates a high-level biocontainment laboratory that offers safety and security. The researchers demonstrated that when exposed to the virus, African Green Monkeys showed signs that were essentially identical to the symptoms humans have when infected by this deadly virus. The findings from this study will provide a critical framework to test and evaluate potential vaccines and therapeutic measures needed to treat people that come into contact with the virus. Broder said there are no cases of Nipah in the United States or in North or South America. But researchers are interested in testing bats in South America to see if there are related viruses. He also added that as a result of this research an antibody therapy could be available within a few years. May 27, 2010 - Steven M. Dettelbach, United States Attorney for the Northern District of Ohio, announced today Mitchell L. Frost, age 23, of Bellevue, Ohio, appeared before U.S. Magistrate Judge Nancy A. Vecchiarelli and pleaded guilty to a two-count Information filed on May 14, 2010, which charged Frost with causing damage to a protected computer system and possessing 15 or more unauthorized access devices. According to court documents, Frost admitted that between August 2006, and March 2007, while enrolled as a student at the University of Akron, he used the University’s computer network to access IRC channels on the Internet to control other computers and computer networks via computers intentionally infected and taken over, known as “BotNet” zombies, which were located throughout the United States and in other countries. Frost also admitted gaining access to other computers and computer networks by various means, including scanning the Internet searching for computer networks which were vulnerable to attack or unauthorized intrusion, gaining unauthorized access to and control over such computers, and fraudulently obtaining user names and passwords for users on such systems. Frost admitted using the compromised computers to spread malicious computer codes, commands and information to even more computers, all for the purpose of harvesting and obtaining information and data from the compromised computer networks, including user names, passwords, credit card numbers, and CVV security codes, and for the purpose of launching Distributed Denial of Service (DDoS) attacks on computer systems and Internet websites. Frost admitted that between August 2006 and March 2007, Frost initiated DDoS attacks on numerous computers connected to the Internet hosting various websites, including www.joinrudy2008.com, www.billoreilly.com, and www.anncoulter.com, among others, temporarily interrupting operation of the websites, which required the site owners to intervene and repair their computer systems. Frost also admitted initiating denial of service attacks against the University of Akron computer server on or about March 14, 2007, which caused the entire University of Akron computer network to be knocked off-line for approximately 8 ½ hours, preventing all students, faculty and staff members from accessing the network. This denial of service attack required the University of Akron to employ diagnostic and remedial measures to restore computer service causing losses in excess of $10,000. Frost will be sentenced on August 5, 2010, by U.S. District Judge Lesley Wells. His sentence will be determined by the Court after review of factors unique to this case, including his prior criminal record, if any, his role in the offense and the characteristics of the violation. In all cases the sentence will not exceed the statutory maximum and in most cases it will be less than the maximum. This case is being prosecuted by Assistant U.S. Attorney Robert W. Kern, Cybercrime Coordinator for the Cleveland U.S. Attorney’s Office, following an investigation by the Akron Office of the United States Secret Service, the Federal Bureau of Investigation and the University of Akron Police Department. May 27, 2010 - Cyberspace "will change how we fight" in the next 20 years, the nation's top military officer said here yesterday as he challenged leaders at all levels to understand the threats and help to posture the military to deal with them. "I am particularly concerned about cyberspace," Navy Adm. Mike Mullen, chairman of the Joint Chiefs of Staff, told Class of 2010 graduates at the U.S. Air Force Academy. Mullen called cyberspace "a global common in which we do not enjoy unmatched advantage, where international norms are the easiest to flout without consequence, and upon which our entire way of life depends." Recognizing its strategic impact, and how it will affect military operations, Mullen called on the new officers to "stay open to new ideas" within the cyber realm and to help in shaping and leading the military as he confronts this growing challenge. Mullen echoed that message to about 500 servicemembers at a town hall session at nearby Peterson Air Force Base, telling them he expects warfighting requirements in space and cyberspace "will grow exponentially" in the years ahead. "We will have great opportunities and great challenges in those two areas, particularly those areas where we are not dominant [and] we don't have the advantage," he said. Mullen called the recent stand-up of U.S. Cyber Command, which reached initial operational capability last week, "a significant step forward" that will help "get our arms around what this means." Cyberspace is far broader than intelligence and cryptologic operations, the chairman said. "It's going to affect every single leader that is here, in every single warfare area ... in the future. So we are all going to have to be a whole lot smarter and better in those areas." Gone are the days when the military could simply relegate the issue in the "Six World" – the staff elements responsible for command, control, communications and computer systems, he told the group. "Leaders can no longer do that," he said. "Leaders have to know more about it. Leaders have to get engaged." Leaders at all levels need to understand the issues and the threat, he told reporters following the session. "They have to be trained in it, and they have to make sure their people are prepared in it," he said. "So that's what I am encouraging them to do with that. Don't just turn it over to the chief or turn it over to the sergeant major." "We can't do it," he said. "It's too lethal and too potent, and there are adversaries in the cyber world that we don't understand yet." Citing the lack of boundaries, rules and authorities regarding cyberspace, Mullen said he foresees a day when the international community comes together to agree to a common set of standards about its use. "It's pretty scary stuff," he said of the cyber threat. "And it needs to continue to be addressed very, very rapidly." Durham, NC & Boston, MA — Games For Health Conference (5/27/10) --- Duke University School of Medicine and Virtual Heroes today announced a framework agreement on a partnership encompassing a broad range of initiatives to leverage interactive game technologies for medical education and training. The multi-faceted partnership will include initiatives in the following areas: healthcare team communication training; medical device and pharma product education; patient education; medical recertification; clinical trial education; CME courses; and healthcare quality assurance training. The HumanSim™ platform by Virtual Heroes will soon enable healthcare professionals to sharpen their assessment and decision-making skills without risk to patients in realistic, challenging, immersive 3D environments. Virtual Heroes is creating HumanSim™ by taking the most advanced game technology on the planet (Epic Games’ Unreal® Engine 3) and integrating it with a real-time physiologic-pharmacologic model for an unprecedented experiential learning experience. The Virtual Heroes Division of Applied Research Associates creates collaborative interactive learning solutions for the healthcare, federal systems, and corporate training markets. Advanced Learning Technologies (ALT) leverage simulation learning and digital games-based learning paradigms to accelerate learning, increase user proficiency, and reduce training costs. WASHINGTON (NNS) -- Program Executive Officer Integrated Warfare Systems (PEO-IWS), as chair of the Naval Open Architecture Enterprise Team (OAET), released version 2.0 of the Naval Open Architecture (NOA) Contract Guidebook for Program Managers May 27. "The Naval Open Architecture Contract Guidebook is a valuable resource available to program managers and contracting officers across the Naval Enterprise as they seek to implement Open Architecture (OA) principles in national security systems," said Chris Deegan, executive director, PEO IWS. "This new version is particularly timely because it supports the Navy's redoubled efforts to reduce total ownership cost by encouraging software reuse and increased competition in source selection, as well as promoting the prudent use of open source software." The initial NOA Contract Guidebook was released by the OAET in July 2006 as a compendium of contracting best practices and lessons learned from across the Naval Enterprise. It was first updated in October 2007. This latest version of the guidebook contains new information and contract clauses, including a new H clause, requiring contractor identification of open source software in deliverables; statement of work (SOW) language on using integrated development environments; SOW language on software code walkthroughs; product re-use demonstrations; and references to Naval Air Systems Command's Key Open Sub-Systems tool. A publically-released version of the NOA Contract Guidebook is available for download as a PDF under the "tools" section of the Naval Open Architecture Web site at https://acc.dau.mil/oa. WASHINGTON (NNS) -- Naval Sea Systems Command (NAVSEA) and the American Society of Naval Engineers will co-sponsor the 2010 U.S. Navy Corrosion Conference, Mega Rust 2010, June 7-10, in San Diego. Additional co-sponsors include U.S. Fleet Forces Command and the National Surface Treatment Center. Daniel Dunmire, director for Corrosion Policy and Oversight, Office of the Under Secretary of Defense (Acquisition, Technology, and Logistics), will speak on DoD Corrosion Perspectives as a keynote guest speaker during the annual event, which brings together government, military, owners, operators, shipyards, research facilities, and coatings manufacturers and suppliers to discuss issues pertinent to the preservation industry. "The Navy operates equipment and systems in some of the harshest environments in the world. This is an opportunity for all the stakeholders to come together and build on our understanding of the corrosion challenges that support operational readiness," said E. Dail Thomas II, Department of the Navy's Corrosion Control and Prevention Executive. Additional invited keynote speakers (attendance pending availability and confirmation) are Rear Adm. Michael Bachmann, commander, Space and Naval Warfare Systems Command, Rear Adm. J. Clarke Orzalli, director, Fleet Maintenance, U.S. Fleet Forces Command, and Rear Adm. James McManamon, deputy commander for Surface Warfare, NAVSEA. The conference agenda, as well as conference registration information, is available at www.navalengineers.org/megarust2010. CHICAGO—An international cybercrime scheme caused Internet users in more than 60 countries to purchase more than one million bogus software products, causing victims to lose more than $100 million, according to a federal indictment returned here against a Cincinnati area man and two other men believed to be living abroad. The charges allege that the defendants, through fake advertisements placed on various legitimate companies’ websites, deceived Internet users into falsely believing that their computers were infected with “malware” or had other critical errors to induce them to purchase “scareware” software products that had limited or no ability to remedy the purported, but nonexistent, defects. The alleged scheme is widely regarded as one of the fastest-growing and most prevalent types of Internet fraud. Two defendants, Bjorn Daniel Sundin, and Shaileshkumar P. Jain, with others owned and operated Innovative Marketing, Inc. (IM), a company registered in Belize that purported to sell anti-virus and computer performance/repair software through the internet and that operated a subsidiary called Innovative Marketing Ukraine, located in Kiev. The company appeared to close down last year after the U.S. Federal Trade Commission filed a federal lawsuit in Maryland seeking to end the allegedly fraudulent practices. Jain, 40, who performed the functions of IM’s chief executive officer, is a U.S. citizen and is believed to be living in Ukraine. Sundin, 31, who performed the duties of IM’s chief technology officer and chief operating officer, is a Swedish citizen and is believed to be in Sweden. The third defendant, James Reno, 26, of Amelia, Ohio, with others owned and operated the former Byte Hosting Internet Services, which operated call centers that provided technical and billing support to victim consumers on behalf of IM. Reno is expected to present himself for arraignment at a later date in U.S. District Court in Chicago. Sundin and Jain were each charged with 24 counts of wire fraud, and Reno with 12 counts of wire fraud, and all three were charged with one count each of conspiracy to commit computer fraud and computer fraud in a 26-count indictment returned yesterday by a federal grand jury in Chicago. The indictment also seeks forfeiture of approximately $100 million and any and all funds held in a bank account in Kiev. The charges were announced by Patrick J. Fitzgerald, United States Attorney for the Northern District of Illinois, and Robert D. Grant, Special Agent-in-Charge of the Chicago Office of the Federal Bureau of Investigation, which conducted the global investigation. The Justice Department’s Office of International Affairs and the Computer Crimes and Intellectual Property Section assisted in the investigation. “These defendants allegedly preyed on innocent computer users, exploiting their fraudulently induced fears for personal gain. We will continue our efforts to identify and aggressively investigate similar schemes with the assistance of our law enforcement partners both at home and internationally,” Mr. Grant said. According to the indictment, after causing a series of false error messages, Sudin, Jain and others caused Internet users worldwide, including throughout the United States, Sweden and Ukraine, to purchase software products bearing such names as “DriveCleaner” and “ErrorSafe,” ranging in price from approximately $30 to $70, which they falsely represented would rid the victims’ computers of purported defects, but actually did little or nothing to improve or repair computer performance, resulting in financial losses exceeding $100 million. Sundin, Jain and others allegedly created at least seven fictitious advertising agencies that contacted multiple victim companies purporting to act as advertising brokers on behalf of known legitimate entities that wanted to place Internet ads on the unnamed victim companies’ websites, when in fact the ads were unauthorized. The victim companies allegedly were defrauded of at least $85,000 in unpaid fees promised by the fictitious ad agencies. Unknown to the victim companies, the Internet ads that were placed on their websites by these fictitious agencies contained hidden computer code that “hijacked” the Internet browsers of individual victims, redirecting their computers without their consent to websites controlled by Sudin, Jain and others, the indictment alleges. The individual victims were then prompted with a series of error messages claiming that the user’s computer was experiencing a critical error and the victim needed to purchase an IM-distributed software product to remedy the problem. Reno allegedly aided and abetted Sudin, Jain and others in creating and operating the fictitious ad agencies by providing support as a technical adviser for the computer servers and networks used to facilitate their operation. The fictitious ad agencies included “BurnAds,” “UniqAds,” “Infyte,” “NetMediaGroup,” and “ForceUp,” according to the indictment. • the IM scareware website then prompted the victim user to download a free trial version of an IM product, falsely promising that the software could repair the nonexistent critical errors. As a result of the browser hijacking, multiple fraudulent scans, and false error messages the defendants and others allegedly deceived victims into purchasing the full paid versions of IM software products, such as “Malware Alarm,” “Antivirus 2008,” and “VirusRemover 2008.” At times, the defendants defrauded victims into purchasing multiple products through a deceptive order screen that kept hidden certain pre-checked option boxes which, when checked, increased the total number of products being purchased, the indictment alleges. The proceeds of these sales, typically by credit card, were allegedly deposited into bank accounts controlled by the defendants and others throughout the world, and then were transferred to additional bank accounts located in Europe. The defendants and others allegedly used Byte Hosting to deflect complaints from victims who purchased IM software products. Knowing the products to be fraudulent and distributed and sold under false pretenses, Reno and others caused call center representatives to be instructed to lie to customers about the products and persuade them to remove legitimate pre-existing anti-virus software, the indictment alleges. To persuade the Byte Hosting call center representatives to continue their employment, Reno and others falsely informed them that they were not involved in a fraud scheme because United States law did not apply to IM and its business practices because IM was based overseas. The call center employees were authorized to provide refunds to discourage victims from notifying their credit card companies or law enforcement that they were deceived into purchasing the fraudulent software products, according to the indictment. Individuals who believe they are victims and want to receive information about the criminal prosecution may call a toll-free hotline, 866-364-2621, ext. 1, for periodic updates. The government is being represented by Assistant U.S. Attorneys Michael Ferrara and William Ridgway. Each count of wire fraud carries a maximum penalty of 20 years in prison and a $250,000 fine and restitution is mandatory. The Court may also impose a fine totaling twice the loss to any victim or twice the gain to the defendant, whichever is greater. If convicted, the Court would determine a reasonable sentence to impose under the advisory United States Sentencing Guidelines. May 26, 2010 - Deputy Defense Secretary William J. Lynn III announced plans today to significantly speed procurement of information systems in the department. Lynn announced formation of a task force that will concentrate on speeding up the IT acquisition process during the U.S. Strategic Command Cyberspace Symposium here. The task force will consist of experts from the Defense Department's acquisition, technology and logistics office. "The goal is to develop a significantly faster and agile acquisition system more tailored to an IT world than [to] large pieces of military equipment," Lynn said. The U.S. military is the most capable armed force in the world, in part, because of the edge given by the reliance on information technology, Lynn said. But the procurement process for software and hardware still is mired in the industrial age, tied to the way the department buys tanks or ships or aircraft. "In this very ordered process, we decide what the mission is, identify the requirements that are needed to meet that mission and analyze alternatives to meet those requirements," Lynn said. "Eight or nine years later, we actually have something." It has worked, because the United States military has the best weapons systems the world has ever seen, but in the IT area, "our system has followed that model, and it simply doesn't work," he said. "On average, it takes the department 81 months from when an information technology program is first funded to when it becomes operational," the deputy secretary said. This means that systems are four to five generations behind the state of the art upon delivery. Lynn compared this process to that of Apple, which took 24 months to conceive, develop, test and begin to market its iPhone. "In [the Defense Department], we will barely have a budget document in 24 months," he said. "So Apple gets an iPhone and we get a budget. It's not an acceptable trade-off." The new task force will report directly to Lynn, and he has directed its members to refashion IT acquisition around four principles. First, speed must be the overarching priority. "We need to match the acquisition process to the technology development cycle," he said. "In IT, this means 12- to 36-month cycles, and not seven to eight years." Second, the Defense Department must acknowledge that incremental development, testing and – whenever possible – fielding of new capabilities provide better IT outcomes than trying to field a large, complex system all at once. "Third," Lynn said, to achieve speedy, incremental improvements, we need to carefully examine how to establish the requirements that govern acquisition." While systems must be designed to be useful to the users, he noted, departing from standard IT architectures adds to the cost and can significantly add to the time it takes to field the system. "To achieve speed, we must be willing to sacrifice or defer some customization," he said. "Making use of established standards, and open modular platforms, is of paramount importance." Finally, the deputy secretary said, the department's information technology needs to run the gamut from simple word processing to providing command and control for thermonuclear weapons. "We must recognize that different IT applications demand different levels of oversight and enterprise integration," Lynn said. The task force is working to outline a series of acquisition paths that apply high levels of institutional due diligence where it is needed – the nuclear command and control architecture – and strip away excess requirements where it is not – such as in replacing word processing software. The acquisition process is not an easy one to change, Lynn acknowledged, because the Defense Department has unique information technology needs that limit its ability to replicate the dynamism of private industry. "Our systems must work across business, warfighting and intelligence applications," Lynn said. "We cannot usually go without the functionality of existing systems as they are being updated or replaced." And Pentagon officials cannot just walk down to an electronics chain store and pick up new equipment, he noted. "The planning, programming and congressionally mandated budgeting process must all be in alignment," the deputy secretary said. "Despite these significant obstacles, I believe we can make dramatic improvements in IT acquisition." The task force, he said, will identify who is being innovative, how to make better use of existing authorities and where to try pilot projects. "Our intent is to target things we can change now," he added, "while laying the foundation for longer-term reforms that may require Congress to legislate new authorities." 5/26/2010 - RAMSTEIN AIR BASE, Germany (AFNS) -- Air Force officials set a goal in 2005 to reduce the energy facilities use by 2 percent. In 2007, officials modified these goals to an annual 3 percent reduction through 2015. Likewise, water-use reduction actions were initiated in 2008 to reduce water consumption by 2 percent each year until 2015. The resulting 30 percent reduction of energy use and 16 percent drop in water consumption is a part of Executive Order 13423, which requires all Department of Defense services to reduce facility energy and water use. In line with this directive, U.S. Air Forces in Europe officials are taking steps to reduce the energy footprint throughout the command. One of the key programs USAFE officials are seeking out is the use of more energy efficient vehicles. "The Air Force goal is to have 35 percent of its vehicle fleet be energy efficient by fiscal 2015," said Master Sgt. Rich Haines, who is assigned to the USAFE command fleet management support. "USAFE is in line with that goal, and currently 12 percent, about 700 commercial light duty vehicles, of the 7,500 vehicle fleet use alternative fuels or are energy efficient." Nearly 60 percent of the command's fleet is made up of commercial light-duty vehicles such as sedans, six-passenger trucks, sport utility vehicles, etc., which require using high amounts of diesel or unleaded fuel. However, by 2015 USAFE officials should have 2,500 to 3,000 vehicles that use alternative fuels or are fuel efficient in the fleet. "We're right-sizing the vehicle fleet," Sergeant Haines said. "There are some authorizations out there that are larger than what they should be. For example, a half-ton pickup should be a compact vehicle. By right-sizing, we're reducing the amount of fuel consumed, and the end result will be a reduction in fuel costs." Airmen service each vehicle in the fleet regularly to keep its inventory as energy efficient as possible, but they need each user to help reduce the fuel footprint by avoiding idling and identifying appropriate size vehicles for the mission. "There is no silver bullet on how to reduce the footprint for vehicles," said Master Sgt. Eric Kuhns, the USAFE command vehicle management manager. "There are multiple alternatives we can investigate and try, like (using) compressed natural gas, propane, ethanol, electric vehicles, biodiesel and hybrids. The manufacturers are coming on board with all this since technology has improved. As demand grows across America and there is enough supply in the market place to use these types of vehicles, the overall cost will go down (for all vehicles) from the heavy equipment to the light duty." As the infrastructure becomes available, whether it's plug-in stations or alternate fuel outlets, the fleet will eventually be replaced with more energy efficient vehicles, Sergeant Kuhns said. In addition to making the vehicle fleet more energy efficient, other energy initiatives throughout USAFE, like reducing water consumption and using solar energy, are being implemented. "USAFE met the water consumption reduction goal in fiscal 2008, but missed it by a hair in 2009," said Jennifer Cooper, the USAFE command energy manager for facilities. "We're working toward meeting the fiscal 2010 goal of 6 percent." An example of USAFE's water conservation efforts is the waste water reuse project at Incirlik Air Base, Turkey, which uses treated waste water to irrigate the golf course. This project not only helps USAFE meet its goal, but also saves the Air Force $377,000 annually in water and wastewater discharge costs. Besides water, the command is taking a proactive approach to meet Air Force officials' goal of reducing energy use by 15 percent for fiscal 2010, said Todd Grimes, the USAFE chief of civil engineer operations. "We've reduced how much energy we've used in our facilities since 1983," Mr. Grimes said. "We missed the mark in fiscal 2009 by a fraction of a percent toward the energy use reduction goal and are working to get back on track." Another initiative to put these plans in to action is using solar energy. For example, solar panels were installed on billeting facilities at Royal Air Force Mildenhall, England, to supplement the energy used to heat the water. A solar array is also planned for Moron Air Base, Spain. Once complete, it will provide a third of the energy needed to power the Air Force-side of the installation. There are many more energy efficiency and energy reduction projects underway or planned for the near future. Together, these projects will help USAFE and Air Force officials reach their goals. 5/26/2010 - WASHINGTON (AFNS) -- With a focus on the service's most pressing operational energy issues, Air Force officials will kick off the Air Force Energy Forum III here May 27. Undersecretary of the Air Force Erin Conaton, the Air Force's senior energy official, will deliver the keynote address during the two-day forum, highlighting the theme "A New Culture: Energy as an Operations Enabler." Ms. Conaton will join Air Force Chief of Staff Gen. Norton Schwartz and other Air Force, government and industry energy leaders to discuss the service's energy strategies, identify opportunities and share best practices. "I am looking forward to the Energy Forum as a way to bring leaders together to propel the Air Force's energy program," Ms. Conaton said. "Through ongoing energy initiatives, the creation of operational efficiencies and our research and design activities, we are creating a culture that values energy as a mission-critical resource." The undersecretary explains that the Air Force, the largest consumer of energy within the Department of Defense, is in a unique position to improve the nation's energy security against a rapidly changing landscape. The Energy Forum follows the release of the Air Force's Energy Plan in December 2009. "Executing the Air Force Energy Plan will help us reduce fuel demand and encourage new sources of supply, while maintaining mission effectiveness through increased operational efficiencies," Ms. Conaton said. "Changing our culture so that every member of the Air Force considers energy efficiency in all they do is critical to success in this area." This year's Energy Forum is bringing in senior major command leaders to address how they and their commands are making energy a consideration in all they do. Registered attendees will hear from these and other government and industry leaders as well as participate in a variety of moderated breakout sessions. For more information visit the Air Force Energy Forum III website at www.usafenergyforum.com. May 26, 2010 - The National Guards of several states are closely watching Louisiana this week and are prepared to assist in its oil spill operations if needed, a senior Guard leader said today. "We've been asked potentially to assist Louisiana with helicopter support, and if they need that, then we will provide that," Army Maj. Gen. Abner C. Blalock, Alabama's adjutant general, said yesterday during a "DoD Live" bloggers roundtable. Along with Alabama, aviation assets from Missouri and Illinois have been tapped to support operations in Louisiana through the Emergency Management Assistance Compact. Louisiana officials also have asked for public affairs support through EMAC. "We're monitoring real closely what's going on with our sister states, Louisiana and Mississippi and Florida, particularly Louisiana, and the kind of actions they are taking and the kind of things they are doing," Blalock said. "Quite frankly, there's a lot of trial and error going on along the Gulf Coast, because we haven't really been involved in something quite like this ever before." About 360 Alabama Army and Air National Guard members have been working to limit the spill's impact on their own state's coast, the general noted. "On-the-ground work includes installation of Hesco barriers on a barrier island, as well as a peninsula on the east side of Mobile Bay," he said. "Beyond that, we're involved in certain security tasks where volunteers are staged. We have about 20 folks involved in the various echelons of command and control from Joint Force Headquarters down to a local unit headquarters." Air crews have provided reconnaissance of other oil containment booms that have been put in place along the coast. "We've had two helicopters [and crews] on duty since early May, and they've been flying boom reconnaissance missions and doing some imagery assessment and awareness taskers," Blalock said. For now, Alabama has been largely unaffected by the spill, the general added, with only a few tar balls washing up on shore. Despite a lack of experience combating an oil spill, the Alabama Guard has been using lessons learned from other disasters, Blalock said. "We're a hurricane state," he said. "We've learned over the years through our experiences the kind of things the National Guard is asked to do immediately post-landfall, and that is where we've focused our attention." However, he added, there are a few differences between the two kinds of responses. "Fortunately, we're not involved in clearing roads of other obstacles to commercial or business traffic," he explained. "But it's sort of the opposite, in that we may get involved in cleaning up a mess [on the beaches] if other contract resources are not available for application." Planning is the key to this operation, the general said. "We're thinking ahead over the long term, that six-month window, which sounds hard, but the reality is we're getting a pretty good handle on the kinds of things that the National Guard might be asked to do when the oil comes ashore," Blalock noted. The Alabama Guard's role in responding to the oil spill, the general said, is largely up to the spill itself. "The biggest vote out there is what the oil does," he said. "This posture we're in right now, we're prepared for immediate response in case of a surprise. The Coast Guard is working with a 180-day strategic plan. What I'm seeing from my level is that strategic plan is focusing in on response much like you're seeing going on in Louisiana." For now, it's all about being prepared for any contingency. "Our efforts have been focused on protection and prevention at this stage," Blalock said, "and trying to get all the resources in place to keep the oil off our coastlines, to keep the oil out of our oyster beds, to keep the oil off our barrier islands." Some U.S. police chiefs say Arizona's new law on illegal immigrants might increase crime, not reduce it. A delegation of chiefs organized by the Police Executive Research Forum contends that the crackdown will intimidate crime victims and witnesses who are illegal immigrants and keep them from cooperating with police. They also contend the law will divert police from investigating more serious crimes. The delegation was to meet with U.S. Attorney General Eric Holder to discuss their concerns. The group includes police chiefs from Los Angeles, Houston, Philadelphia, Montgomery County, Md. and several cities in Arizona. However, law enforcement opinion on the law is sharply divided in Arizona. The statute would make the failure to carry immigration documents a crime and give the police broad power to detain anyone suspected of being in the country illegally. Pinal County (Ariz.) Paul Babeau, head of the Arizona Sheriff's Association, supports the law. He says cooperation by! illegal immigrants is already low because of law enforcement corruption in their native countries and because they are in the U.S. illegally. A Georgia police department can now test shell casings in-house using a ballistics testing machine provided by the U.S. Bureau of Alcohol, Tobacco, Firearms and Explosives. Before receiving the equipment, Savannah-Chatham police had to send casings out to the Georgia Bureau of Investigation for processing, which could take days; the new device can do the processing in about 12 minutes. According to police forensics Sgt. Scott Coleman, the machine is part of a nationwide network maintained by ATF. Usually, only larger police departments have the machines, but coverage in southeast Georgia is so limited that ATF provided Savannah with one. The device acquires a "fingerprint" that a firearm leaves on the back of a bullet, providing investigators with unique identifying characteristics. The information from examined shell casings is put into a database maintained by ATF, so casings used in local shootings can be compared to samples taken from around the U.S.
A Nevada crime lab is taking a novel approach to attempt to quickly reduce its backlog of DNA samples waiting to be tested. The Washoe County Crime laboratory has begun a pilot program to test DNA samples monthly at a private lab using money raised from local convicted offender court fines. The pilot program will run through December. The county has been using National Institute of Justice grants to fund testing of backlog samples. But the samples are sent out once a year, usually in a batch of thousands. By using $100,000 in local convicted offender courts fines, the lab can have samples tested once a month. The lab has a backlog of about 4,000 samples. Crime laboratory director Renee Romero said the pilot will provide a cost and impact analysis of sending out samples every month. Testing of DNA samples is based on priority factors, such as violent crimes and pending court dates. Police in New Britain, Conn., have a new tool to help investigate cyber crimes against children. The department has a Digital Forensics lab to help investigate crimes involving cell phones and computers. Using grant money, the department purchased upgrades to equipment used to analyze mobile digital devices such as cell phones and blackberries to obtain text messages and pictures. The grants came from Michael Bolton Charities Inc. and the J. Walton Bissell Foundation. Receipt of the grants was arranged by the Innocent Justice Foundation, which connects law enforcement agencies that need tools and training to investigate crimes against children with charities willing to provide funding. Seattle tops the list of the most dangerous U.S. cities for cybercrime, followed by Boston and Washington, D.C., according to a report. The report by Symantec and Sperling's BestPlaces ranked 50 cities. Also in the top 10 for cybercrime were San Francisco, Raleigh, N.C., Atlanta, Minneapolis, Denver, Austin and Portland. The city rankings were determined through a combination of Symantec Security Response's data on cyberattacks and potential malware infections, and third-party data about online behavior, such as accessing WiFi hotspots and online shopping. Prisons in the state of Washington are saving money while providing inmates with a sense of purpose through "green" programs. The Stafford Creek Corrections Center saved $200,000 a year by recycling trash instead of paying to have it hauled to a landfill. At another state prison, inmates are raising an endangered species of frog, observing and taking notes during the project. Dan Pacholke, state deputy director of prisons, said violence has dropped among prisoners involved in the voluntary program, and the state plans to expand it from four prisons to all 13 state institutions. Officials say the program provides inmates with skills and knowledge and makes them environmentally conscious citizens. Violent crime in the U.S. has declined for the third straight year, according to the FBI. Preliminary 2009 data from the agency indicates a 7.2 percent drop in homicides. Overall, overall violent crime was down 5.5 percent. Robberies decreased by 8.1 percent and aggravated assaults dropped by 4.2 percent. Property crimes also declined last year for the seventh consecutive year, including a 17.2 percent drop in auto thefts. The FBI collects data from 13,000 law enforcement agencies. Municipal police departments in Pennsylvania may be getting closer to being allowed to use radar to issue speeding tickets to drivers. State police use radar, but past attempts by lawmakers to allow Pennsylvania municipalities to use the technology have failed. A bipartisan group of legislators has introduced a bill that may have a better chance of passing because it requires departments wanting to use radar to be accredited by the Pennsylvania Law Enforcement Accreditation Commission. Pennsylvania is the only state that does not allow municipalities to use radar. Opponents say the legislation does not provide enough detail on how officers will be trained, which could result in unnecessary ticketing and fines. Tampa citizens can now receive emergency alerts on their cell phones, thanks to an upgrade to the city's reverse 9-1-1 system. Previously the system could only send alerts to land lines. The old system could send alerts to 23 phone lines at a time. The new system can call thousands of people at one time, reaching everyone in the city in about two hours. The upgrade also allows municipal service agencies to send alerts, in addition to police and fire agencies. For example, the city can alert residents to a change in pick-up day for recycling or garbage collection. All published home phones are automatically included in the system, but residents need to opt-in to receive alerts to cell phones. Nebraska's policy of allowing inmates to use the regular prison phone system at low cost appears to have resulted in a reduction in the number of cell phones being smuggled into prisons. Officials confiscated six cell phones from Nebraska inmates in the past year. Inmates pay 50 cents for a local telephone call on the regular prison lines; long-distance calls cost 70 cents to place, plus 5 cents per minute. That's compared to Iowa, which charges $2 per local call by inmates, and a 15-minute long-distance call costs $3.50 more than it would in Nebraska. May 26, 2010 - Arlington, Va. (NNS) -- The Office of Naval Research (ONR) is collaborating with industry partners on the ruggedized, hand-held wall-scaling tool called the Powered Rope Ascender, currently on display at Fleet Week New York, May 26-June 2. The technology allows warfighters to ascend and descend vertical surfaces at high speeds, increasing the efficiency and functionality of their performance. TechSolutions, part of the ONR's Office of Innovation, challenged Boston-based Atlas Devices to help create a next-generation Ascender for naval use. A visit, board, search and seizure (VBSS) team expressed a need for the technology to a science advisor for Marine Forces Pacific. From request to completion, only 8 months passed. "ONR's efforts were to make it lighter, smaller and more functional, to include a removable, rechargeable battery," TechSolutions assistant program manager Joseph Brus said. "We contributed by improving its usability and ergonomic design." Originally built as a prototype for the Army in 2004 for use in urban combat and cave exploration, the Department of the Navy soon took interest in the tool's multipurpose function. The Ascender can aid in naval operations where boarding enemy vessels, evacuation of remote casualties, helicopter extraction, or mountain warfare assault team deployment is needed. In testing, the Ascender proved it can hold a target load capacity up to 600 pounds at a 6-ft. per second rate of ascension. The powerful rope not only lifts and lowers, but can tow vehicles and remotely move equipment and casualties as well, making it a valuable tool for VBSS teams. Its high-power, high-density lithium battery will allow a load to ascend 375 feet without recharging. Sailors and Marines played an integral role in testing the device and providing feedback on its features and usability. Using their feedback, ONR evolved the next-generation's functionality, design and potential for commercial use. "The beta version will be able to recapture 10 to 15 percent of its potential energy as it descends, which can be used to recharge the battery," Brus said. "That's a huge improvement from the original prototype." While the release of the beta prototype is tentatively scheduled for September, attendees at this year's Fleet Week in New York City will get a glimpse of the machine in live demonstrations. The Marine Corps Mountain Warfare Training Center is scheduled to receive the first supply of advanced Powered Rope Ascender. TechSolutions accepts requests from Sailors and Marines on ways to improve mission effectiveness through the application of quick-turnaround science and technology. They deliver needed technology to the U.S. Navy and Marine Corps that move the sea services toward more effective and efficient use of personnel. The National Institute of Justice (NIJ) holds an annual technology institute for corrections practitioners to learn about and discuss technology initiatives and issues affecting the corrections community. NIJ encourages Institute participants to share their needs and to present creative solutions to technology issues they face. By sharing their experiences, practitioners help each other with technology challenges. In turn, NIJ is able to use the discussions held at the Institute to provide valuable input that will help guide NIJ research and development efforts in the future. During the week-long institute, attendees receive and exchange information about existing and developing technologies, problem-solving relating to technology implementation and technology lessons learned. Attendees will also participate in tours of correctional facilities in the Baltimore area. • Participants with the opportunity for continuing education on technologies applicable to corrections. • Participants with the opportunity to meet and interact with other corrections professionals. • NIJ with the opportunity to improve and build on its technology development programs based on participant experience and comments. There is no registration cost and all travel, food and lodging expenses are paid. Attendance is limited to 25 full-time state and local corrections officials who are actively involved in technology-related corrections issues within their agencies. The applicants should be senior staff with responsibility for making technology decisions and ensuring the implementation of selected technologies, and should be responsible for helping to set the course of future technology implementation within their respective agencies. An agency may only submit one application for consideration. Alumni from previous Institutes will not be considered. The application must be completely filled out for an applicant to be considered. Selected applicants will be required to present a 10-15 minute presentation (Microsoft® PowerPoint format) addressing a technology challenge that his/her agency has solved or a technology challenge his/her agency currently faces. The deadline for submitting an application is July 30, 2010. Applications not received by close of business July 30, 2010, will not be considered. NIJ is the research and development arm of the U.S. Department of Justice. 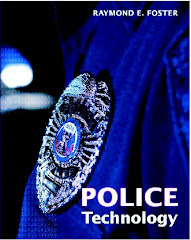 NIJ’s mission is to look at new and emerging technologies within the corrections and law enforcement communities in an effort to examine public safety needs for the future. May 25, 2010 - The Army today celebrated its recent attainment of 1 million hours of unmanned flight with an aircraft display and news conference at the Pentagon's courtyard. The milestone officially was reached April 14 with missions flown in the U.S. Central Command area of operations. "Today we celebrate a major milestone," Army Col. Gregory B. Gonzalez, project manager for unmanned aircraft systems at Redstone Arsenal, Ala., told reporters. "This is a tremendous accomplishment, but it's even more astounding when one considers how quickly the Army achieved this." Just 13 aircraft were deployed in support of operations at the beginning of the Iraq war in March 2003. Today, 333 types of unmanned aerial systems -- with more than 1,000 aircraft – are flying in Iraq and Afghanistan, Gonzalez said. It took 13 years to fly the first 100,000 hours and less than a year to fly the next 100,000, the colonel said. In the past two years alone, he added, the Army has flown more than 500,000 hours. Despite early skepticism and doubt, Gonzalez said, acceptance of unmanned systems quickly became a demand as ground commanders incorporated those aircraft in support of all aspects of Army operations. Ground commanders depend on the unmanned systems to be their "eyes and ears" on the battlefield, he added, providing troops with near-real-time imagery and information for targeted areas while planning missions as well as for informing troops of enemy activity in their area. Though 1 million hours is impressive, Gonzalez said, the most notable accomplishment is what those hours represent. "Each hour represents not just time, but time well spent," he said. "[Unmanned] flight hours represent time well spent keeping soldiers safe, finding and killing our enemy, and collecting information that will lead to future successes. That number represents efforts to bring home our American sons and daughters safely after a deployment." Though the 1 millionth flight hour was met with much anticipation and excitement, Gonzalez said, the Army continues focusing on the future, improving capabilities and fielding new systems. Currently in the works are upgrades to several systems, including the Raven and Shadow systems. Also, an additional platoon of soldiers with extended-range, multipurpose systems is slated to deploy to Afghanistan this summer to provide quick-reaction capabilities for ground troops in combat, the colonel said. Other short-term advances in the works include significant advances throughout the Army's fleet, including increased interoperability, data link, full-motion video encryption, and performance and reliability improvements, the colonel said. "It is our duty to provide [troops] the most effective and efficient use of our nation's resources," he added. "As quantities and fielded systems increase and we improve capabilities, the ability to support the warfighter will increase. More [unmanned aerial systems] in the fight means more time dedicated to support for our soldiers." As of April 14, the Army had flown 1,002,731 unmanned aerial system hours, nearly 90 percent of that time in Iraq and Afghanistan. The Army currently records about 25,000 flight hours each month in the two countries. The aircraft display here included a MQ-1C extended-range, multipurpose system, a Shadow system with launcher, a Raven system and a ground control station. Military members and defense civilians toured the display and received a glimpse of the technology that's saving lives on the battlefield. 5/24/2010 - JOINT BASE PEARL HARBOR-HICKAM, Hawaii (AFNS) -- While Airmen and new recruits at basic training still "cross into the blue," Airmen at Pacific Air Forces are looking for new ways to cross into the green -- through reducing energy demands, increasing energy supplies and changing the culture. These methods form the three pillars of the Air Force officials' plan to meet federal requirements to reduce the Air Force's annual energy intensity by 30 percent of its 2003 figures by 2015. U.S. government officials are the largest buyers of energy products in the world, and the Department of Defense members consume 91 percent of that energy. This poses special challenges for Air Force officials, whose members use more than three times the energy of the Navy and nearly four times the energy the Army uses, most of which is aviation-related, according to the Air Force's 2010 Energy Plan. In order to reduce Air Force energy consumption to meet federally-mandated goals, PACAF officials have already initiated a number of programs such as converting sport-utility vehicles to more fuel-efficient models and installing motion-activated lighting systems. Each base has also stepped up to the plate, creating initiatives to save energy. At Misawa Air Base, Japan, operations group officials coordinated with officials from the Japan Air Self-Defense Force to turn off airfield lights after the last mission of the day, saving approximately $56,000 with just the flip of a switch. In Alaska, Airmen are taking the same cold environment that increases their energy requirements and using it to their advantage by using solar walls to preheat air before it passes through the building's heating system. The reflection of sunlight off the snow adds to the input, and the warmer air produced then requires less energy to be heated to the necessary temperatures. Airmen in Hawaii have taken green high tech through a solar-powered hydrogen production and fueling station. Airmen at the 15th Airlift Wing assigned to Joint Base Pearl Harbor-Hickam, Hawaii, teamed with the Air Force Advanced Power Technology Office and the Hawaii Center for Advanced Transportation Technologies to create the station. By combining solar power with the hydrogen plant, the team has made hydrogen a renewable fuel, said Tom Quinn, the HCATT director. Each of the projects PACAF members undertake is designed to pay for itself in no more than 10 years and some projects will pay for themselves in a matter of just a few years, said Lou Schiffl, the PACAF civil engineering operation programs and support chief. Lighting retrofit projects are an example of money-saving projects, Mr. Schiffl said. PACAF officials have executed these projects at Elmendorf Air Force Base, Alaska, JB Hickam, Kadena and Misawa Air Bases in Japan. More than 3,000 energy inefficient lights have been replaced with more efficient lights; a project that will pay for itself in savings in just two years. Since 2003, PACAF members have reduced their energy intensity by 18 percent, but the savings are starting to slow down. "Our energy savings are starting to plateau as we finish the easier projects," Mr. Schiffl said. "We've taken care of the 'low-hanging fruit.'" Continuing to reduce energy requirements becomes even more critical as energy costs continue to rise, said Chris Wright, the PACAF energy manager. To continue the downward trend in energy requirements, PACAF officials are getting creative. They have initiated an energy, condition and optimization plan that incorporates an existing requirement to decrease the Air Force facility footprint by 20 percent by 2020, and matches it to energy goals by assessing building utilization and condition. The study, which is scheduled to begin this summer, will assess 75 percent of the highest energy-using buildings on all PACAF bases, and will examine lighting, water and insulation in the buildings. By matching all this data in one location, we will be able to maximize facility usage to minimize energy requirements, Mr. Schiffl said. "We can save a lot of money if we have one less building consuming energy," he said. "Then if we identify the most energy-efficient building or repairs that are needed to make buildings energy-efficient, we will be using our energy wisely, which will reduce our energy demand. While Mr. Schiffl and his team are busily thinking of ways to reduce energy demands and increase supplies, the third pillar of the Air Force plan, changing the culture, is evident at PACAF headquarters on JB Hickam as Airmen drive government-owned hydrogen-fueled vehicles past houses with solar panels on the roofs. May 24, 2010 - The Gulf of Mexico oil spill could soon reach levels on par with the 250,000 barrels of crude oil lost in the1989 Exxon Valdez tanker spill, the Coast Guard commandant said yesterday in an interview on CNN's State of the Union. "By the time we get this leak sealed, the volume that's out there is probably going to start to approach that much," Coast Guard Adm. Thad Allen, the national incident commander for the Gulf oil spill, told Candy Crowley. "Our big concern right now is oil that's coming to shore around Port Fourchon in southern Louisiana and trying to redeploy our forces there to meet that," he continued. "At the same time, we're seeing tar balls in Mississippi and Alabama. And this spill has really spread out wide, concerning its perimeter, but it's really concentrated, heavy starts, throughout the area of about a 200-mile radius." In a White House news conference today, Allen outlined the basic command-and-control structure for how oil spill response works. He told reporters that although the federal government has oversight, the spiller is responsible for financing cleanup, equipment and recouping damaging, according to the Oil Pollution Act of 1990. In the Gulf of Mexico, the oil company BP is the accountable party, Allen said. The legislation was passed after the Exxon Valdez spill, and also created a liability trust fund to fund responses where there was no responsible party. The legislation charges Coast Guard area commanders with responsibility in those zones. These captain of the port zones work with state and local officials and stakeholders to develop protection plans, mainly for "sensitive areas," he said. Captain of the port zones are present on every single part of the coastline of the United States. When they have to activate a response, the local Coast Guard commander is designated the federal on-scene coordinator and coordinates with state and local governments and directs the responsible party in the cleanup, the admiral explained. "That is the way we have been prosecuting this case since the explosion on the Deepwater Horizon on the 20th of April," he said. "Even in advance of the sinking of the drilling unit, we were staging equipment that was against the scenario we would have a worst-case spill. "We started actually mobilizing equipment salvage engineers and everything right after the event happened into the 21st of April," he added. For the Gulf Coast spill, the zone commands were brought under the command of Coast Guard Rear Adm. Marry Landry, because of the size of the spill, Allen said. Landry oversees commanders in Mobile, Ala., which covers Mississippi, Alabama and western Florida. Landry also supervises a command in St. Petersburg and Key West, Fla.
"If something gets large enough where there's a national issue," Allen said, "it will come up to the national response team." The national response team consists of the Environmental Protection Agency, the Coast Guard, the National Oceanic and Atmospheric Administration and others. Also, the president can declare "a spill of national significance" if the coordination becomes "complicated," Allen added. "This is not policy," he said. "This is a command-and-control structure. It's actually contained in the Code of Federal Regulations that implements the Oil Pollution Act of 1990. So there are actually clear definitions." Allen said the federal response team "needs to make sure [BP] execute their responsibilities as the responsible party and we carry out our responsibilities and be accountable as the federal on-scene coordinators." Allen also explained that in this role, the federal government can issue an order to BP to apply resources in a particular way if the government is not pleased with BP's method. However, BP, or the responsible party, is the one with the means to deal with the spill. The military does not have the equipment or technology to address the Gulf Coast spill alone, he said. "Ultimately, we are accountable to make sure [BP cleans up the spill]," he said. "The law requires them to play a certain role, to pay for it, to provide equipment and so forth, and particularly with trying to deal with a leak on the bottom of the ocean there -- 5,000 feet down." While BP works to cap the leak, states have requested support from the Army Corps of Engineers to prevent oil damage ashore. Louisiana has applied for a permit that suggests establishing a system of barrier islands and berm structures, the admiral said. The Army is evaluating the requests and looking at costs and schedule as well as issues the engineers may face. Building the barrier islands could take as long nine months. The review is still ongoing by the Army and Coast Guard, he added. Other U.S. military support comes from the Air Force, who has been conducting aerial spray missions to help in neutralizing the oil spill with dispersing agents. Also, the Air Force is transporting boom from Alaska. Meanwhile, the Navy is supplying vessels to act as staging platforms for BP workers and equipment. Allen estimates that it could take until August to cap the oil spill. Earlier this month I had the privilege of attending the awards ceremony at Fort Gillem, Georgia for one of our nation’s top cyber-defenders. At this event Special Agent Thomas M. Williamson received the outstanding special agent of the year award from U.S. Army’s Criminal Investigation Command’s Computer Crime Investigation Unit. Special Agent Thomas M. Williamson delivered the highest levels of support...He directly contributed to successful prosecutions that resulted in over 20 years of combined confinement, with several other high-visibility cases equally postured for future prosecutive success. Special Agent Williamson often mentored other [special agents], and he went above and beyond to bolster [the Army’s] overarching computer crimes and digital evidence program through methodical research and untiring support. Special Agent Williamson’s contributions were truly outstanding during the preceding year. The President has declared cybersecurity to be a top national and economic security priority. Every day there are thousands of attempts to penetrate sensitive military networks to steal our nation’s secrets and military technology. The Army’s Computer Crimes Investigation Unit is one of a variety of organization that the Department of Defense has established to defend our networks and track down our cyber adversaries. Special Agent Williams is a shining example of the type of men and women we need in the Federal government to secure cyberspace. 5/24/2010 - WASHINGTON - U.S. Environmental Protection Agency Administrator Lisa P. Jackson, joined by Council on Environmental Quality Chair Nancy Sutley, is back in the Gulf Coast today to monitor EPA’s on-the-ground response to the BP oil spill and speak with residents about efforts to mitigate the spill's impact on the region. This marks Administrator Jackson’s third visit to the gulf region since the oil spill began. During the trip, the Administrator and Chair Sutley will visit the command center in Robert, La and will also travel to Venice and New Orleans. The visit will include a tour on a Trace Atmospheric Gas Analyzer (TAGA), a self-contained mobile laboratory being used by EPA to sample and analyze outdoor air quality in the gulf. Administrator Jackson and Chair Sutley will also tour oil impacted wetlands by boat in Venice. At 4:15 p.m. CST, the Administrator will hold a press conference in Venice, La. Administrator Jackson arrived in the Gulf Coast last night, where she attended a briefing at the Unified Command Center and met with BP officials along with U.S. Coast Guard Rear Admiral Landry. Pierside Warfare Tech Leading 7th Fleet Units while Going "Green"
SASEBO, Japan (NNS) -- A 7th Fleet-sponsored Fleet Synthetic Training (FST) exercise May 3-6 provided units spread across thousands of miles the opportunity to join the same virtual battle scenario, while minimizing the effects live training on the environment and saving money. Though not intended to replace live training, joint-coalition FST exercise, Coral Dagger, demonstrates how this technology is being employed. Participants of the initiative included members of 7th Fleet's task forces, USS George Washington (CVN 73), USS Essex (LHD 2) and several Japan-based destroyers, amphibious ships and supporting units that were physically located in Japan and Australia. Meanwhile, game controllers from the Tactical Training Group Pacific (TTGP) that designed the scenario, managed the operation from San Diego. The game controllers provided a complicated scenario to measure the participant's ability to operate as a strike force. The situation involved a large coalition naval expeditionary strike force (ESF) approaching a coastline vaguely similar to Northeastern Australia. The strike force had to fights its way through a hostile "Kamarian" naval force before completing its mission – an amphibious assault into the small nation of "Northern Legais" – that demanded coordinating fire and movement while a land component assaulted the country from the opposite direction. FST events are geared to provide a robust war-gaming experience to the fleet regardless of location, allowing players to respond as if they were underway, sitting at their watch stations. "The great value of synthetic training is that the complexity can be scaled, and can be structured to present far more challenging tactical scenarios than can be achieved underway, especially in today's austere fiscal environment," said TTGP's coordinator for this event, Cmdr. Eric Phipps. Additionally, because of on board maintenance, watch teams from USS Cowpens (CG 63) and USS Fitzgerald (DDG 62) took part from a state-of-the-art TTGP facility in Yokosuka, Japan. Integrated joint players included the Oregon Air National Guard's 116th Air Control Squadron, Army's I Corp Fwd, 3rd Battlefield Coordination Detachment (BCD), 65th Fire Brigade and 607th Air Support Operations Group (ASOG) played roles within the scenario. Coalition forces were represented by the Australian Amphibious Task Group Commander (COMAUSATG) and staff, as well as the HMAS Darwin, a guided-missile frigate that coordinated within the Strike Force from HMAS Watson, a shore-based training facility in Sydney. "When I walked into the Flag Plot, I felt like I was in a real world scenario," added Navy Rear Adm. Richard B. Landolt, commander, Task Force 76. The Coral Dagger scenario "was a true joint-coalition event," Phipps said "…from individual units to warfare commanders to component commanders, [the exercise] provided many valuable training insights and lessons learned in a virtual training environment." 5/21/2010 - CAPE CANAVERAL AIR FORCE STATION, Fla. (AFNS) -- Airmen from the 4th Fighter Wing at Seymour Johnson Air Force Base, N.C., and the Continental U.S. North American Aerospace Defense Command Region, or CONR, and Air Forces Northern Command provided crucial airspace control and manning support to the successful launch of Space Shuttle Atlantis May 14 here. CONR members ensured airspace sovereignty by enforcing the Federal Aviation Administration's temporary flight restriction area established around Kennedy Space Center. Using F-15E Strike Eagle aircraft from the 4th FW, CONR Airmen identified and redirected five aircraft that inadvertently violated the restricted airspace. "The U.S. Air Force protects the United States every day in support of Operation Noble Eagle," said Lt. Col. Gabriel Green, the 333rd Fighter Squadron commander. "When needed, the 4th FW supports this mission. (The wing) protected the (sky) by flying an air patrol over and around the space shuttle. When an aircraft entered the no-fly zone, we intercepted, identified and redirected (it) out of the airspace." CONR also deployed the Joint-Based Expeditionary Connectivity Center team to here to provide additional support for the launch. AFNORTH provided the headquarters manning for U.S. Northern Command's Joint Task Force-Space Transportation System, responsible for the search and rescue of the astronauts and recovery of the orbiter if the need arises. AFNORTH also serves as the operational level focal point for situational understanding and crisis response to space shuttle mission contingencies. "As members of CONR, we are very proud of our mission to protect the (airspace above) the shuttle while AFNORTH personnel provide manning for potential search and rescue operations," said Col. Scott Barberides, the JTF-STS commander. The task force provides the command and control of Department of Defense forces during crisis response from the Morrell Operations Center at Cape Canaveral AFS. "Flexibility is a key strength of airpower and Seymour Johnson (AFB) Airmen," Colonel Green said. "We are proud to have contributed to our space program and the Air Force's success."